Christmas is just around the corner and with it cyber criminals are becoming more active. As they know online shopping is preferred over shopping in the streets. It is much more easy and convenient, no queues to stand, no fighting with the crowd on the streets. But with all this we often forget the risk involved in it a simple mistake can lead to disaster. Hackers are watching you, one wrong step gives them all the access to your personal and confidential information. Scared, aren’t you? But do not worry our guide will help you stay safe while shopping online this Christmas. Follow simple tips mentioned below and avoid being tricked by the scammers. While looking for online bargains, coupon codes and best offers be cautious. As hackers know you will fall for anything that offers you good discounts. So, while clicking on any such offers do cross check them and read our online guide. We love saving money and won’t miss a chance if we get one. Criminals too are aware about the fact and they would do anything to scam you. By now your inbox must be overflowing with all sorts of emails offering discounts, best deals, free offers and what not. Most of them might be legitimate but some are to trap you. There’s a saying – all that glitters is not gold same is with online offers a discount that looks too good to believe like 80% off or something similar it should ring a bell. Don’t fall for such offers without any checking. You may see posts shared on social media or emails from your friends mentioning lucrative offers. But before falling for any of them do checkout the original website and be sure if its genuine. If you have received an email from a trusted site, simply browse the site manually and look for the deal that’s mentioned. Sometimes you may be redirected to a similar looking website so watch the URL in the address bar. As entering your bank or card details in such sites can empty your account. First step to know if a website is genuine – look for a company’s address and contact details on the “About us” page. If you are unable to find them this is a red flag that should ring alarm bells. To stay at one hand distance from these threats stick to the sites you have already used. Don’t try new sites to get more discounts it may end up emptying your account. Run an antivirus software that can check the malicious URL’s and websites. If you receive a green light saying the site is safe to use then proceed. You can download Systweak Anti-Malware for Mac, Systweak Advanced System Protector for Windows and Systweak Anti-Malware for Android. There’s a possibility that an unknown site is genuine but don’t risk for saving few pennies. As you never know when they shut down and you have no way to contact them. Leading to loss of money in name of saving few bucks. All said and done before entering your card details you need to double check things. As this is the page where most scams take place. Do check if the website you are visiting has an EV (extended validation) certificate. For that look, at the address bar it should have a green check next to it and the business name will be readable. Meaning the site has passed a security test and can be trusted. Look for Secure Sockets Layers (SSL) used to encrypt before being transmitted across the web and shows an organization has been verified. The site should have an https in the address bar as compared to standard http. Meaning the site uses SSL. Lastly, check if for a padlock icon somewhere in or near the address bar it is an important security feature of basic SSL. Furthermore, well known sites display seal for SSL certificate either on home page or on purchase page. To check if the site seal is legitimate click on it. Avoid using public Wi-Fi, especially while making any transaction as you never know who all can access your data. The biggest advantage of online shopping is that you don’t have to carry all the shopping bags, someone else will carry them to your door step. Not only this, if you want to return the items no need to worry it’s just a click away. But you do need to check the delivery time. Sites like Amazon offer next day-delivery at a price but if you want to receive the items on time you need to check the availability before placing the order. During the Christmas season as you know everyone is out shopping so you need to see the seller information. Don’t assume that all sellers are sitting in your city as these sites have sellers sitting across the globe. So, the one who is nearby will deliver the item at earliest as opposed to those sitting at a far destination. Once done check for a suitable delivery time and look for customer feedback to get a better idea about seller reputation. Some sites offer alternative method for faster delivery know as click & collect. Using it you can collect eBay products from a local Argos store. Amazon has lockers in few places from where you can collect the items at the time you want. Supermarkets also let you order online and collect in store, but not at all so do check for the ones who do and the charges you need to pay. Sometimes you may want to return a defective, or misfit item but the site doesn’t have pickup facility. To avoid such situations do check the return and refund policies before placing the order. The sites can change their policies anytime so if you have already used the site don’t assume the conditions are same. Do check them each time before placing an order if you are returning to a site after long. 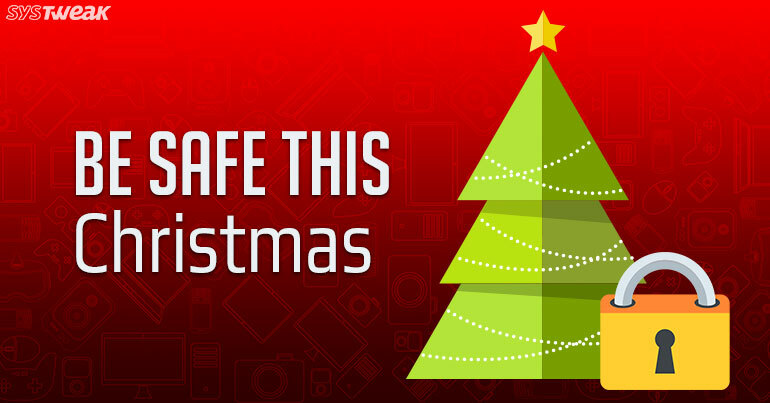 These all tips will surely help you stay safe this Christmas. They will not only make you a smart shopper but you will be one step ahead of the criminal minded people with proper knowledge of how they work.